Quantum mechanics came into existence at the turn of the twentieth century when many newly discovered experimental evidences could not be explained with classical mechanics. Max Planck initiated the concept of quantisation of light in 1900 to give a rational explanation of the black body radiation. 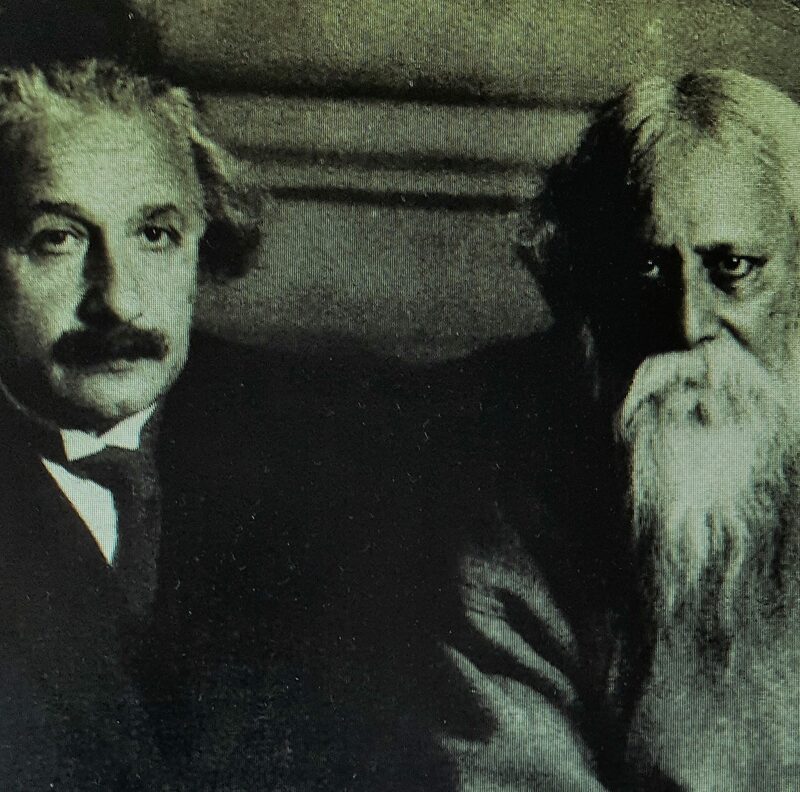 Albert Einstein laid the concept of quantisation on a firm foundation in 1905 when he produced the theory of photoelectric effects and established photons as the entity of light quanta. Since then quantum mechanics had gone from strength to strength and produced many laws, principles and theories to explain successfully the newly emerging scientific and technical problems that came up with advanced technologies. But at the same time there were some most bizarre and mind-boggling phenomena that defied intuitive logical explanation and challenged quantum principles right up to the limits. This write-up presents some of those bizarre inexplicable phenomena. But, first of all, we need to define specifically the broad areas of quantum mechanics and differentiate it from classical mechanics. Quantum mechanics deals with extremely small entities, such as atoms, electrons, photons etc., which are commonly called quantum particles. An atom as a whole is neutral in charge; which means that there are as many protons (positively charged) as there are electrons (negatively charged) in an atom. Hydrogen is the first element with just one proton and hence one electron; carbon is the sixth element with six protons and six electrons. There are more than 100 elements; each element has equal number of protons and electrons. These electrons are assumed to revolve round the nucleus of the atom. When an electron is dislodged from an atom, it is free to diffuse or drift along the material. When these electrons flow in large numbers through a conducting medium, we get electricity. Now the technical question that can be posed, is an electron a particle like a miniature ball or a wave like a photon? Quantum mechanics asserts that it can be either – a wave or a particle – depending on the circumstance. In fact, one of the major planks of quantum mechanics is the wave-particle duality. Louis de Broglie in his Ph.D. dissertation in 1924 postulated that if light waves i.e. electromagnetic waves could behave like particles, then particles such as electrons could also exhibit wave properties. Indeed, they do and Louise de Broglie received a Nobel Prize in 1929 for his ground-breaking contribution of wave-particle duality. Electromagnetic waves propagate through space like waves, as water waves do on the surface of water having crests and troughs. When two waves merge together in harmony, the crests and troughs join together and become larger (the amplitudes of two crests or two troughs add together); this is called the constructive interference. On the other have, if two waves merge in opposition i.e. in anti-phase, the crests and troughs cancel each other and there will be no ripple and that is called the destructive interference. Now let us get back to the question of electrons. If electrons are fired from a source towards a screen and there is a double-slit barrier between the source and the screen, the screen should show the images of two slits on the screen. That is expected and perfectly normal, as the electrons are behaving like particles going through the slits and then striking the screen. Now if the slits are sufficiently narrowed down and the rest of the arrangement remains same, what is then seen on the screen is a band of bright and dark bands, as if the electrons are behaving like waves producing interference patterns! Now remembering de Broglie’s wave-particle duality, this outcome would not be too surprising or outrageous! Now let us make an arrangement when just one electron is fired at a time and let that electron have sufficient transit time to go through the slit and reach the screen. The electron can go through either of the slits and one would expect that images of the slits would be produced on the screen, if sufficiently large number of electrons are fired. But amazingly, an interference pattern appears on the screen! This is bizarre. Remember that just one electron was fired at a time. Even if the electron behaved like a wave, then that electron-wave would just melt away as it reached the screen. It surely could not wait on the screen for the next electron-wave to come through and interfere with it! Now, could that be that an electron somehow goes through both the slits simultaneously to produce an interference pattern on the screen? Then what on earth is the physical mechanism to have one electron going through two slits at the same time? The other possible picture could be that half of an electron goes through one slit and the other half through the other slit and they produce the interference pattern. But then what is the mechanism of splitting an electron into two halves to make an interference pattern? The whole thing becomes surreal, but the interference pattern is real. Then the experimenter became more curious and thought that it would be worthwhile to find out exactly which way the electrons are going? Is an electron going through both the slits simultaneously? A detector was placed very discreetly away from the path of the electrons behind one of the slits. As an electron is negatively charged, the flow of the electron would produce current and that current would produce a magnetic field. The detector that had been designed to detect the magnetic field. Thus, a detector placed behind one of the slits would not disturb the electron path and its flow. The experiment was then conducted with the same setup, but with a detector placed discreetly behind one of the slits. What had been found on the screen? The interference pattern just disappeared completely! Yes, no bright and dark bands; only images of the slits on the screen! It is, as if, the electrons found out that they had been spied on and they decided not to behave like waves any more. Take the detector away, interference pattern return! Science becomes supernatural! These strange behaviours of electrons were so puzzling that even more than hundred years later (since these experimental evidences) nobody could give a rational explanation. Quantum mechanics came into existence and flourished since then, but even quantum mechanics could not give any sensible explanation of the bizarre electron behaviour. But, nonetheless, quantum mechanics had produced an abstract mathematical formalism to explain this evidence. In quantum mechanics, particles or waves are treated wave functions (Schrodinger’s wave equation). When there are two slits, two wave functions go through and interfere and that process is called quantum superposition. That superposition of waves produces interference pattern. Even one wave function – a mathematical formalism – can go through two slits and have superposition and produce an interference pattern. Niels Bohr, the high priest of quantum mechanics, and his group of fellow quantum physicists produced, what is known as Copenhagen Interpretation of quantum mechanics. This Interpretation advanced the idea that sheer act of observation of quantum particles disturbed the character of electron-wave flow and that caused the waves to collapse into particles. Quantum mechanics gives an abstract mathematical formalism of a system. It can predict quite accurately the correct outcome (such as electron fringes), but it does not or cannot give the physical picture of the path of the electron. In fact, the Copenhagen Interpretation insists that asking to know the path of the electron is superfluous and irrelevant. What is relevant is what happens when electrons reach the destination and quantum mechanics has the answer for that. That is the strength of quantum mechanics. Next postIsn’t black hole a black mystery?